The lawsuit targets Bushmaster Firearms International. "The families’ goal has always been to shed light on Remington’s calculated and profit-driven strategy to expand the AR-15 market and court high-risk users, all at the expense of Americans’ safety. Today’s decision is a critical step toward achieving that goal," Koskoff said in the statement, referencing Remington Outdoor Company which owns Bushmaster. 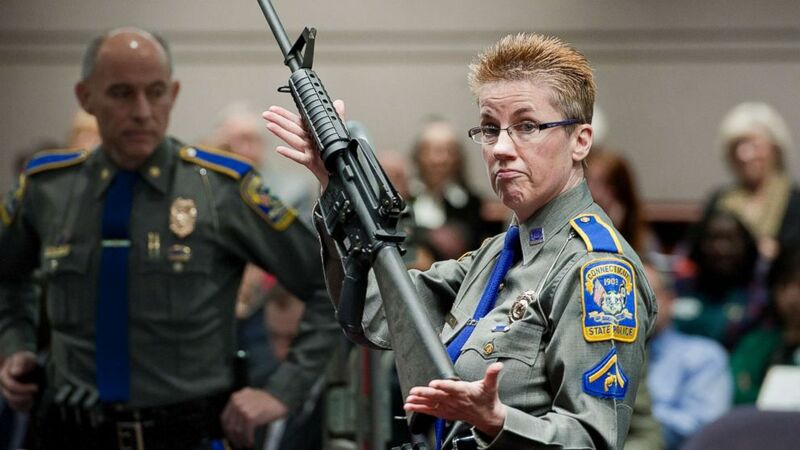 (Jessica Hill/AP, FILE) Detective Barbara J. Mattson of the Connecticut State Police holds up a Bushmaster AR-15-style rifle, the same make and model of gun used by Adam Lanza in the Sandy Hook School shooting at the Legislative Office Building in Hartford, Conn., Jan. 28, 2013. The lawsuit, which was filed in 2015, was dismissed in 2016 by a lower court, ruling that gunmakers have broad immunity from liability under a federal law known as PLCAA, the Protection of Lawful Commerce in Arms Act. The case was then moved up to the state's highest court, and the decision to move forward was issued Thursday. At a November 2017 hearing, Koskoff argued that the company targeted people like the Sandy Hook shooter with their marketing, using "images of soldiers in combat" and referring to "missions" where the guns could be used. 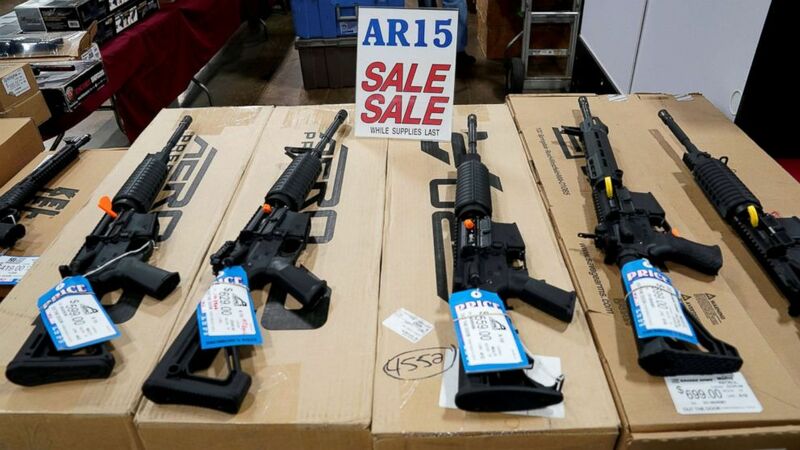 (Joshua Roberts/Reuters, FILE) AR-15 rifles are displayed for sale at the Guntoberfest gun show in Oaks, Pa., Oct. 6, 2017. “Remington may never have known Adam Lanza but they had been courting him for years," Koskoff said in that 2017 hearing. ABC News' Meghan Keneally and Emily Shapiro contributed to this report.